One of the largest green spaces in Saigon is Tao Dan, a 25-acre park in the middle of the city. 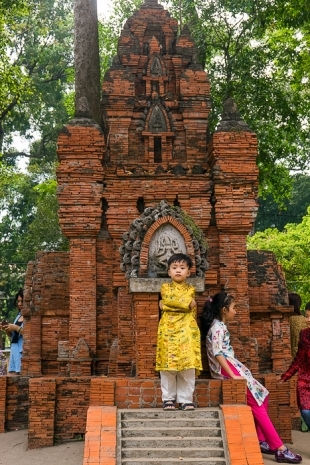 With the busy street of Trương Dịnh running straight through it, Tao Dan doesn’t exactly provide an “escape to nature”, but it does give you the chance to mingle with locals and watch families enjoy their leisure time. 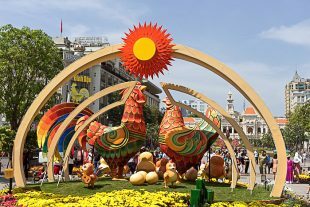 And during the Tet Lunar New Year holiday, the park becomes the scene of a popular fair. 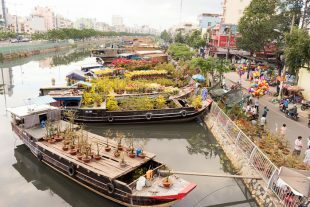 For about a week, hundreds of boats from the Mekong Delta line up along the Ben Binh Wharf to sell the flowers and small fruit trees with which Vietnamese families decorate their homes during the holiday of Tet. Visiting this floating flower market was among the first things we did in Saigon, and the scene made a huge impression on us. On our first morning in Saigon, we were invited to learn how to make bánh chưng. 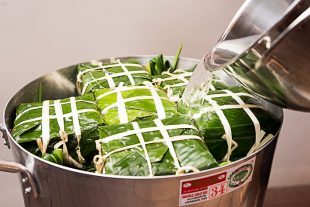 This hearty cake is a tradition around the country during the Lunar New Year celebrations of Tet, when families gather to prepare it together, as well as to recount its origin story to their children. For better or worse, Jürgen and I arrived in Saigon just as the country was preparing for Tet – the Vietnamese Lunar New Year. 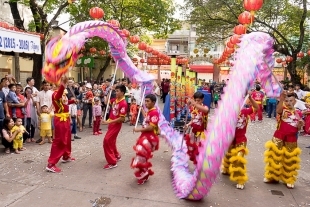 This is by far the most important holiday on the Vietnamese calendar; regular life grinds to a halt, while families gather from near and far for a week of flowers, feasts and celebrations.